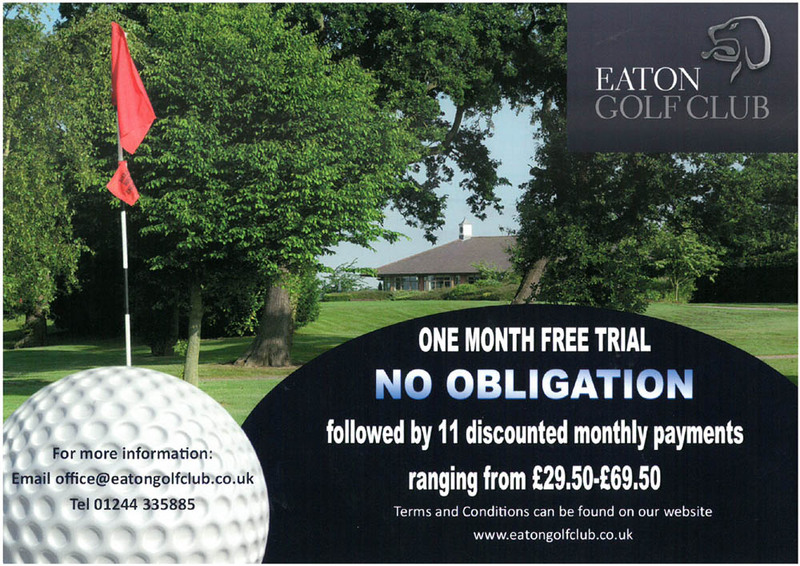 Eaton is a thriving Members’ golf club set in scenic Cheshire countryside. Designed by Donald Steel, the course has individuality whilst incorporating natural features of ponds, streams and woodland in gently undulating terrain. With its varied, attractive holes and large, high-quality greens, golfers will find a fair challenge at all levels of play. Four different tees, provide courses ranging from 5642 yds (red) to 6714 yds (black) over the eighteen holes. Equal importance is given to the course, clubhouse, facilities and staff, ensuring delivery of a first-class golfing experience and potential to share and enjoy Ladies, Mens’, Mixed and Junior programmes, along with a social calendar fulfilling for all. We offer a warm welcome to visitors and members alike. Eaton Golf Club is located 5 miles from the centre of Chester, in the village of Waverton.